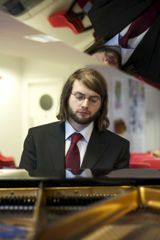 Tim Croston is a professional pianist based in Oxfordshire. Tim works in Oxfordshire, London and neighbouring counties. For venues without their own piano, he uses a Yamaha digital stage piano. Famous venues Tim has performed at include: St George’s Hall (Liverpool), The Old Vic, The Union Chapel, The Spitz (London), Birmingham Academy, Preston Guild Hall, the Holywell Music Room, the Jacqueline du Pré Music Building (Oxford), Blenheim Palace, Kirtlington Park, Kingston Bagpuize House. Tim plays a very wide variety of classical and modern music, and writes many of his own arrangements. “A piano can create an atmosphere like no other instrument. I’m an expert in creating a suitable ambience for each unique event.